At PenLight, your vote matters. Each year, as part of a member-owned cooperative, you have the opportunity to vote in the board of director’s election and attend the annual meeting, where election results for three open seats are announced. PenLight is governed by our members. Those who are elected to the board of directors are fellow members who represent you, and your voice, in how your electric utility is run. Ballots are mailed to PenLight members at the end of March and should be returned in the provided postage-paid return envelopes by the listed deadline. Monday, May 6, 5:30 p.m.
Election results will be announced and the annual treasurer’s report will be presented. A Q&A session follows. If you have any questions, call Britni at 253-857- 1504. Spence has been a resident and Peninsula Light Company member since 1967. He and his wife, Betty, have four children and six grandchildren. He has served as Board President and Chair of the Finance and Goals and Long Range Planning Committees. 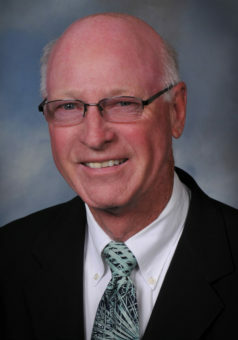 He currently serves as the Board Treasurer. He is a National Rural Cooperative Association “Credentialed Cooperative Director”. 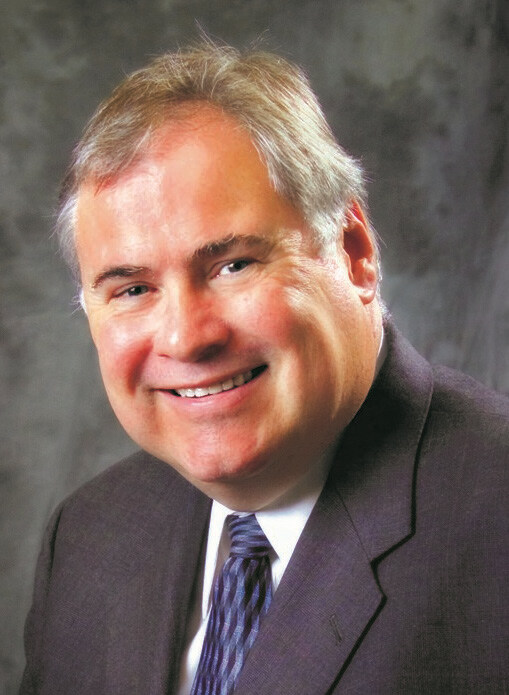 Over the years, he has taken an active leadership role in Gig Harbor and Tacoma community service organizations, namely: Past President of Tacoma Pierce Co. Junior Achievement, Gig Harbor Chamber of Commerce, Kiwanis Club of the Peninsula, Group IV Washington Bankers Association and Board member of Easter Seals of Washington. 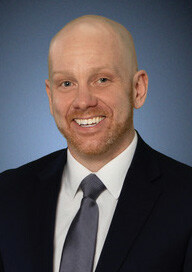 Spence is a graduate of the University of Washington and Pacific Coast Banking School. His banking career includes District Manager for both Key Bank and Puget Sound Bank in Greater Tacoma and the SW region of the state. 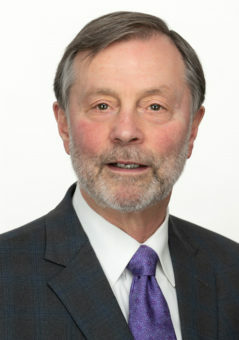 He concluded his banking career as a VP and Manager of Business Banking for HomeStreet Bank in Seattle where he was hired to organize and lead this new department. He continued in this position until his retirement. Spence is running as an incumbent. He is motivated by his interest in helping set the course for our company’s future with an emphasis on its continued financial strength and maintenance of moderate rates. Spence would be honored to continue as a Board Member representing the Peninsula community at large. 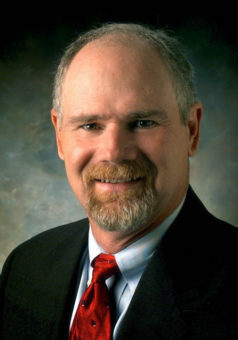 Signo currently serves as President of Peninsula Light Company. He also serves on the Finance Committee and has chaired the Goals and Long Range Planning Committee. He is a Credentialed Cooperative Director, has earned his Board Leadership Certificate and Director Gold Credential. A Gig Harbor native, Signo graduated from Peninsula High School, earned his BA in Business from the University of Puget Sound, and did post graduate work in Finance and Marketing at the University of West Florida. He also served as a Lieutenant in the United States Navy. Upon returning to Gig Harbor, Signo has been involved in supermarket administration, marketing, and real estate. He owned and operated the 56th Street Red Apple Market in Tacoma, served on the Board of Directors for Red Apple Markets Inc., and was Director of Advertising for Associated Grocers. Signo and his wife, Kathy, have one son, and reside in Lakebay. He is a member of Harbor Covenant Church (where he has served as elder and Treasurer), the Key Peninsula Business Association, Business Network International and the Gig Harbor Chamber of Commerce. Jud has been a Peninsula Light Company member since 2004. He and his wife live in Gig Harbor. For thirteen years he was Director of the Key Peninsula Family Resource Center’s (retired December 31, 2018). Because of KPFRC’s utility assistance program, he has an excellent working relationship with Peninsula Light Company staff. As KPFRC Director, Jud developed a unique understanding of the concerns of people living in our community. With the KPFRC/PenLight partnership he has a deep understanding of its services and mission to serve our community. Jud has lived in Washington for over thirty years. 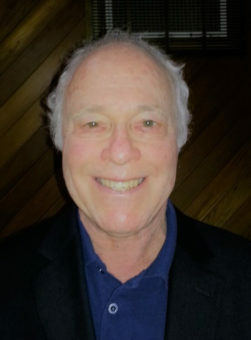 He worked for Children’s Home Society of Washington in 2001 and for Key Peninsula Family Resource Center (Director) from 2006 until 2019. As KPFRC Director, he was responsible for supervising services on Key Peninsula and in Gig Harbor; such as, Little Buddies, Little Toasters, Emergency Funds (utilities/rent assistance), Relatives Raising Relatives, Home Visiting, Ready-Set-Go, Indoor Park and Holiday Helper. Mackenzie has been a Gig Harbor resident since his childhood. His family moved to the area in 1988 when he was in second grade. He loves this area and has always called it home. He attended public school here through middle school, then he chose to go to Bellarmine Preparatory where he was ASB President for four years. He then went on to graduate with a Bachelor’s Degree in General Studies from Western Washington University. After college, he moved back home to Gig Harbor and has been a Peninsula Light Company member since 2005. He has been a self-employed active licensed real estate agent with Better Properties Real Estate for 14 years which has allowed him to have success in residential real estate, commercial real estate, land development, home construction, private finance, and property management. Mackenzie’s communication skills, negotiation skills, and inquisitive mind have been great assets throughout his career. Mackenzie has also been a proud member of the Gig Harbor Rotary Club for the last eight years. He believes his involvement provides positive outcomes from the club’s active involvement in local projects that benefit the community directly. In addition, Rotary led him on an international trip to the Philippines where Rotarians and locals together installed solar panels on several schools. These provide electricity to power computers for elementary schools in remote areas that do not have power. Mackenzie is raising his two young sons, Oliver and Rocky, who both attend Discovery Elementary School. He cares very much about his hometown of Gig Harbor, and its future. Watching the community grow as it has, he is excited to have this opportunity to serve PenLight members. His avid interest in the utility industry and appreciation of its growth and changes make him a very positive addition to the Board, and he would be honored to serve its members. Jim has been a resident of the Peninsula his entire life. Originally beginning his working life in the building trade, he shifted his focus into financial planning and wealth management in 1990. He holds BA and BFA degrees from the Brooks Institute in California and studied economics at the University of Puget Sound. Currently, he is a Senior Vice President with Morgan Stanley in Gig Harbor and is a member of their Masters Council, a company-wide recognition program for the firm’s top financial advisors nationwide. In addition to his financial credentials, Jim also has significant experience serving on various boards. He is currently a member of the Board of Directors for CHI Franciscan Health and sits on both the Governance and Quality committees of that organization. He is the Secretary/Treasurer and past-chair of Harrison Medical Center and the Vice Chair for SightLife, the largest cornea eye bank in the world, which includes clinics in the U.S. and India. He has served as a Board Member for the Harbor History Museum in Gig Harbor, and has been awarded Life Director status with the Home Builders Association of Kitsap County. In these capacities he has acquired extensive knowledge on how successful board governance is achieved and maintained. In his free time, Jim restores and shows classic cars from the 30’s to 60’s. He is a nationally recognized expert on Austin Healeys and has shown multiple times at the Pebble Beach Concours d’Elegance and loaned cars to the LeMay Museum in Tacoma since its opening in 2012. He routinely volunteers his time to support local causes and is a recipient of Morgan Stanley’s Gold Presidential Volunteer Award for donating over 500 hours of service to his community annually. Jim and his family live in Gig Harbor and have been Peninsula Light Company members for the past 14 years. He feels the PenLight Board does an excellent job of stewardship and is honored to be considered for a position on the Board. He hopes to bring his extensive financial knowledge and board experience to help guide PenLight as it moves into the future. Rand and his family have lived in the Northwest since 1996. He moved to Gig Harbor in 2003 after he visited it one weekend and knew that he wanted to live in this community. Rand served as a member of the Peninsula School District Audit Committee for a year before being appointed to the Peninsula School Board. He ran for two elections and served two successful terms. He was elected President of the Board in 2015. He served for nine years. As a member of the committee and Board, he reviewed state audit findings and made recommendations on refinancing of the District’s debt, and saved the taxpayers over a million dollars in bond debt. Rand holds a BA in English and taught English in Nevada and Oregon for five years before becoming a banker. He also holds a Master of Science degree in Telecommunications. Rand is a retired investment banker. He has served on the KeyBank Advisory Board, West Coast Trust Board and is currently the Board Treasurer of the Early Learning Coalition Board. Rand is an advocate of early learning programs for our children and is a supporter of the community and culture of Gig Harbor. The primary order of business will be to present PenLight members with the annual Treasurer’s Report and to announce the results of the Board of Directors’ election. A special thanks to our 2019 Election Committee: Nicole Burnett, Owner at Keller Williams Realty and Burnett Real Estate Company, Reid Ekerg, President of Pilkey, Hopping & Ekberg Inc., Pam Hope Peterson, CRD Mediator. 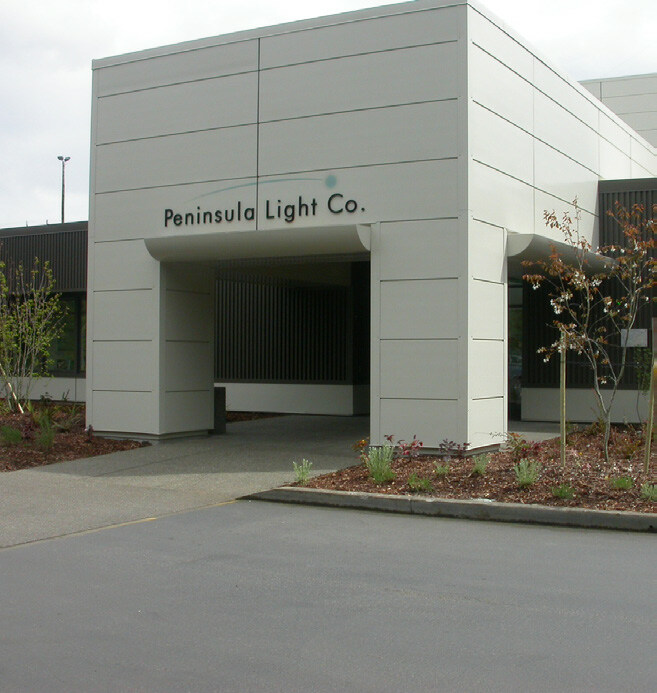 Peninsula Light Company is a membership organization governed by a democratically elected, nine-member Board of Directors. Each membership has one vote. Directors have staggered three-year terms, so each year three positions are voted upon. Directors are elected at large from PenLight’s entire service area. The qualifications of Directors are set forth in the bylaws, which are available on our website at www.penlight.org. The bylaws also provide for the appointment of an Election Committee each year. The Committee is charged to identify and interview potential candidates and to nominate at least two qualified candidates for each Board position and/or vacancy. The Commit- tee is chaired by one Director who is not up for re-election and three PenLight members who are not Directors. Incumbent Directors who wish to stand for re-election may be nominated by the Committee. The Committee will also review candidates who have applied for candidacy. This year, the Committee nominated two incumbent Directors along with four members who either applied for candidacy or were recruited by the Committee. 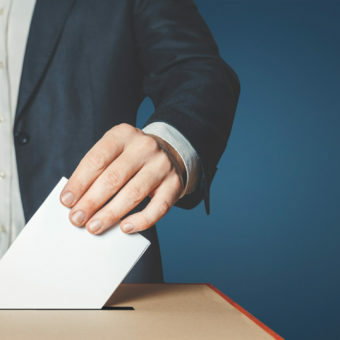 Of the candidates on the ballot, the three receiving the highest vote totals by 4:30 PM on Monday, April 29, 2019 will be elected. A 12% quorum is required to validate the election. If that quorum is not met by the close of business of Monday, April 29, 2019, the election will be delayed. Extra time and money must then be spent to gather sufficient ballots to meet the quorum. So please, take a few moments now to help shape the future of your utility. EXERCISE YOUR RIGHT AS A MEMBER OF PENINSULA LIGHT COMPANY – PLEASE VOTE.